Here you'll find information about the general features of Atoll. For information on technology-specific features, see our technology pages (i.e. GSM/GPRS/EDGE, UMTS/HSPA, LTE, CDMA2000 1xRTT/EV-DO, TD-SCDMA, WIMAX/BWA, Microwave Links). 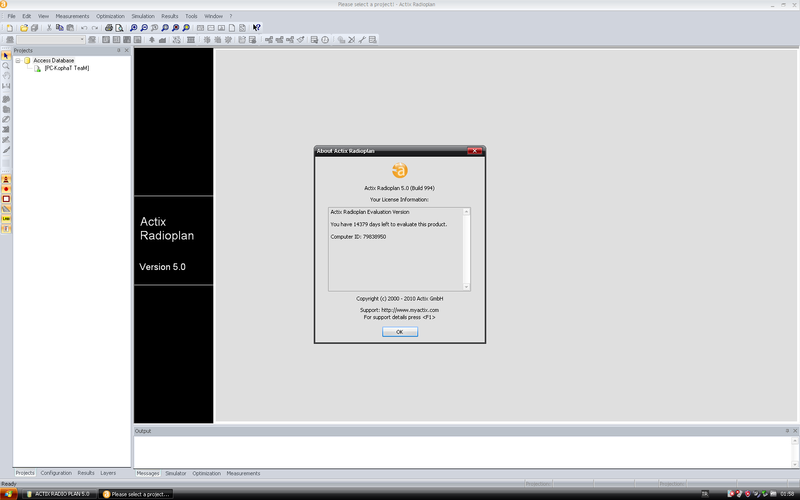 Radioplan is an offline, desktop automated cell planning software. 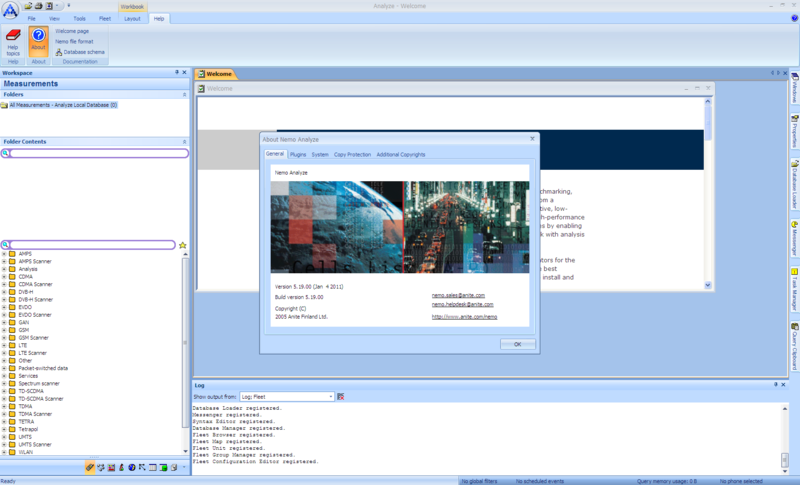 Radioplan uses network OSS, drive survey and planning data for optimizing the configuration of new sites and site overlays. During the design phase of a new technology overlay such as LTE, operators must balance complex design decisions such as achieving coverage & capacity objectives with business drivers such as minimizing capital investment while maximizing revenue generation. As each design has hundreds or even thousands of variable elements, selection of an optimal design for a given set of business and technical objectives is simply not possible using manual trial and error. Radioplan automates the process of identifying an optimal design configuration, using intelligent algorithms to efficiently explore an enormous, mind-boggling solution space. Radioplan has delivered substantial CAPEX reductions while improving performance and capacity in hundreds of real-world deployments. Radioplan optimizes cell plans to minimize CAPEX and maximize performance. 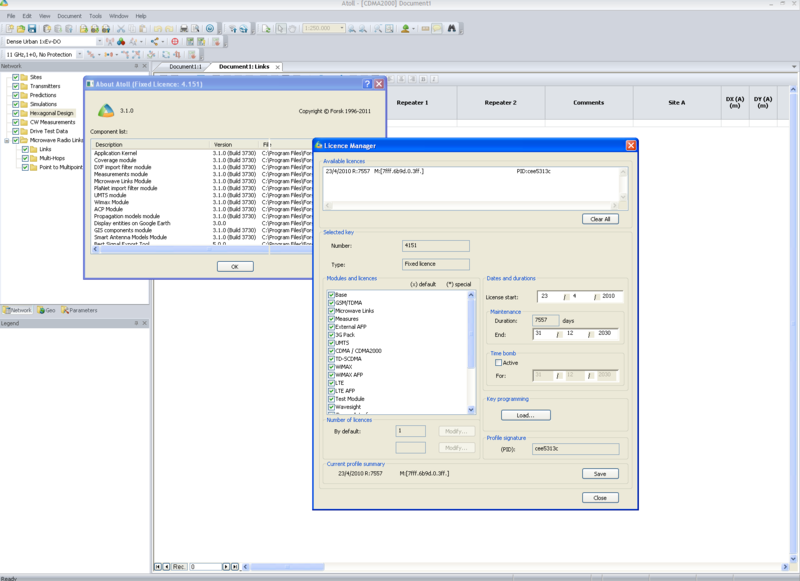 Radioplan desktop automated cell planning software supports 2G, 3G and 4G/LTE technologies. Radioplan may be deployed on a standalone basis or as a complement to ActixOne, which provides superior automation of day-to-day planning activities, but does not include the full range of adhoc and expert analysis capabilities of Radioplan. interface. See below for a context diagram showing the modules. � Flexible modeling of the frequency-planning problem with high degree of accuracy. � Rapid and reliable convergence to high quality solutions via our robust optimizer. 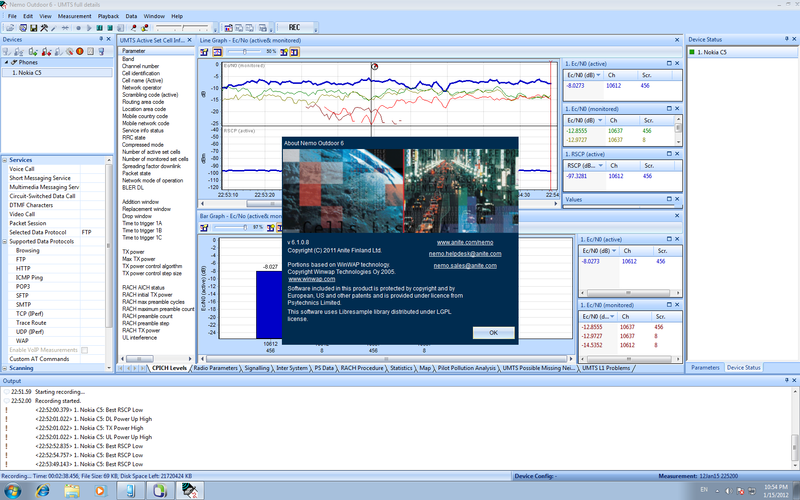 � Self-diagnostics to determine quality of input data. modeling and optimizing of such trade-off choices. planner would, which planning rules to violate. constraints will be traded off with other planning considerations. optimization algorithm, converging reliably and rapidly to high quality solutions. so planners can do ''what-if'' analyses based on various sets of engineering principles. improvements to the solution proposed by Cellopt AFP. computational ability of the user�s mind by orders of magnitude. have higher priority than other parts (e.g. data vs. voice, high traffic cells, and control vs.
traffic). The layer concept can be used to model such aspects. considering rules on the hopping length/fractional load etc. exceeds a user specified limit. frequency-hopping gains like frequency diversity gains and AMR. per layer, and express an absolute threshold level or a threshold relative to traffic or area. Thresholds are useful to set an upper acceptable limit on interference. resources to solve limited interference problems thereby avoiding major retunes. extra (spare) radio only if interference is below a user specified limit. fractional loads being planned simultaneously. 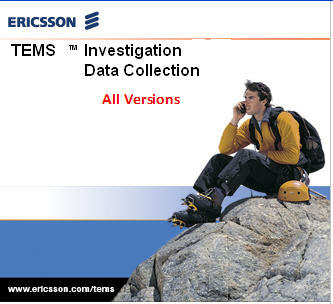 � Cell-site sync: with option to exploit synchronized cell-site if MAIO permit or not. data sets and model interference between various HCS layers. � DTX: with modeling of voice activity factor. � Power control: with modeling of power control gain and interference reduction. relatively different interference than other TRX in sector. combination of sectors (cells) or radios. 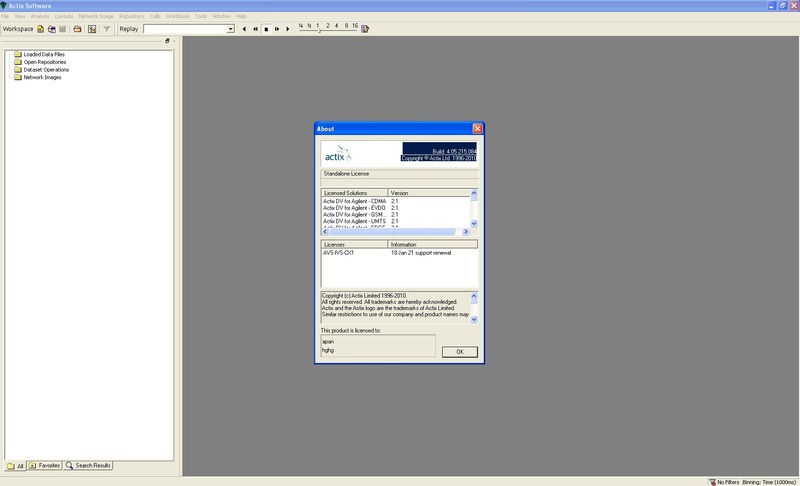 � Exporting the information to MS Excel for further analysis using standard Excel features. comparing two different frequency plans. import and export projects in different formats. 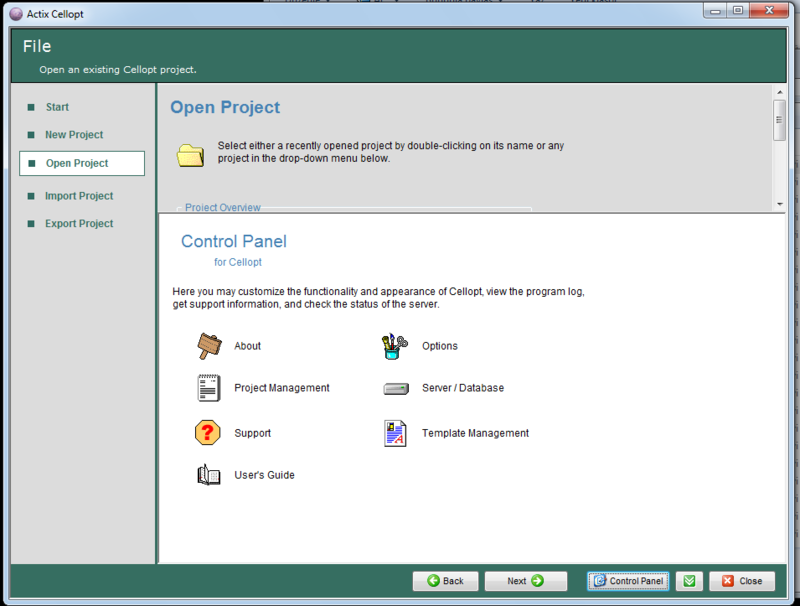 Project � Entered when a project is selected and opened � see the screenshot below. support information can be accessed. 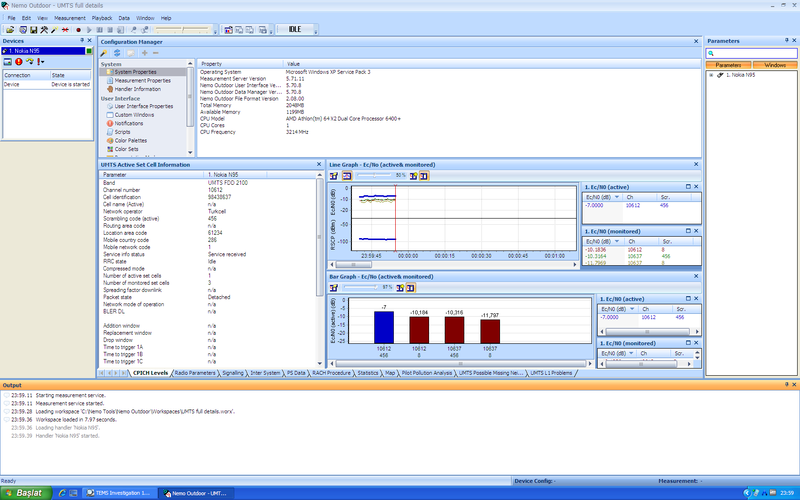 Nemo Analyze is a highly efficient and fully scalable analysis tool for benchmarking, automated troubleshooting, and statistical reporting based on drive test data. For benchmarking, its predetermined report templates help compare KPIs from different operators, technologies, and time frames, and visualise the results in a single report; and it supports all the major network technologies, including LTE, HSPA+, and CDMA2000. Integrating Nemo Analyze with other Nemo tools provides a complete automated data processing chain from raw measurement data to automatically generated results in workbook format. Nemo Outdoor is a laptop-based drive test tool which supports over 220 terminals and scanning receivers from various vendors and all major network technologies. A single software platform plus modularity means easy tailorability, enabling you to tailor the product precisely to your needs. 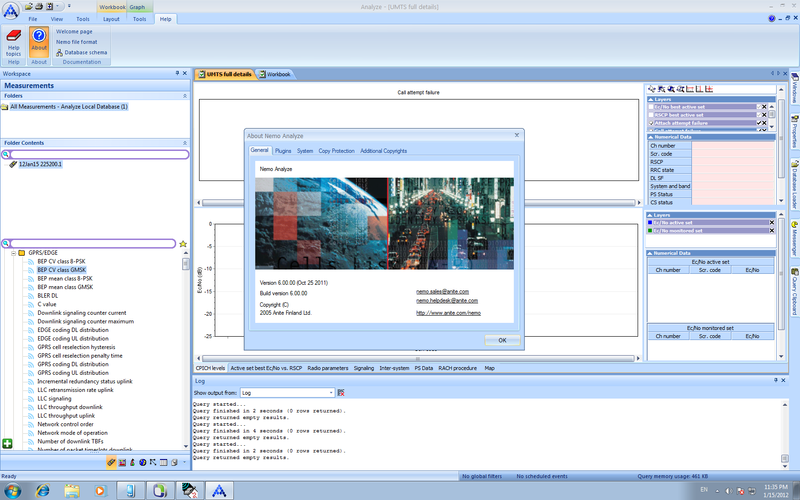 Nemo Outdoor�s powerful software platform works for all technologies and for different protocol and application testing options, giving a consistent look and feel. It�s also the only portable measurement solution that offers multiple simultaneous data connection measurements, and runs on a single laptop. Nemo Outdoor produces measurement files in the open ASCII Nemo File Format, enabling quick and easy troubleshooting and analysis, using Nemo Analyze or third-party post-processing tools.